» review: elf waterproof eyeliner pen in "coffee". » nail tutorial: (yellow) poppy flowers. » liebster blog award #3. » kracie popin' cookin' waffle cafe (ワッフルカフェ)! » review: purederm charcoal nose pore strips. it states on the website that it is one of the largest wholesale stores online. everything i have seen so far is fairly priced. they ship worldwide! the website also says that you get a $50 coupon, but it's actually 10, $5 coupons that total fifty. also, you can only use one coupon per purchase and only of the purchase is $50 or more. the layout is simple and easy to navigate. not at all cluttered. i do like that you can choose who many items you want displayed per page and if you want the icons and/or a short description of the item. however, the search options could use some improvement. although there is a search bar, when you click on a category, you don't get many preference options. for example: you can choose to search by price or bestsellers, you cannot refine the search by colors or size. categories: a wide range of clothing and shoes! rosewholesale also sales makeup, bags, and jewelry. and they aren't limited to woman's clothes--they also sell clothes for men. style: lots of clothes to choose from. i'm sure you can find something that fits your style of preference. pricing: the pricing ranges from about $4 to $42 (based on the t-shirt category). not too bad. quality/durability: the bags, to me, seem to be super durable. 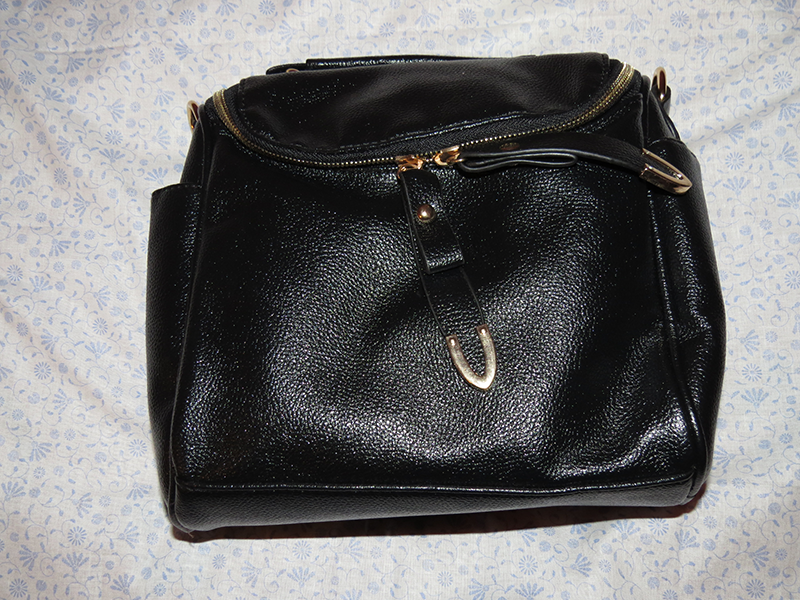 especially the chains on the strap studded bag (which i did not show you guys). they're not super thick, but they're not super thin either. they'll last you quite a while if you take good care of them. same goes for the studs and both zippers. i probably should've actually showed you guys, but i've already imported all the pictures i had and now i am too lazy to repeat the process again;;;;. cost: i had to pay a "flat shipping" fee of $13.50, which i really didn't like. the price doesn't include insurance (which i believe was $2 extra). it does include a tracking number though, but other stores give you a tracking number for less a price than that. rosewholesale claimed that they gave me a tracking number (stated on the email) but it didn't work for none of the carriers??? so i decided to contact them about this. also, although it states it's a "flat rate shipping" their faq stated that shipping is based on where it's being shipped to, as well as location (which doesn't make is a flat rate at all. time: i ordered on 07/04 and it shipped out on 07/05. very, very pleased with how fast they ship! it says that my package was supposed to arrive within 15 days, at the most. my package arrived on the 16th. it took twelve days, so it's it came within the time limit. came in one of those plastic bag packages. could have been easily ripped, but it wasn't. it came safe and sound. as for the bags themselves came wrapped in plastic, with the straps inside the bag. 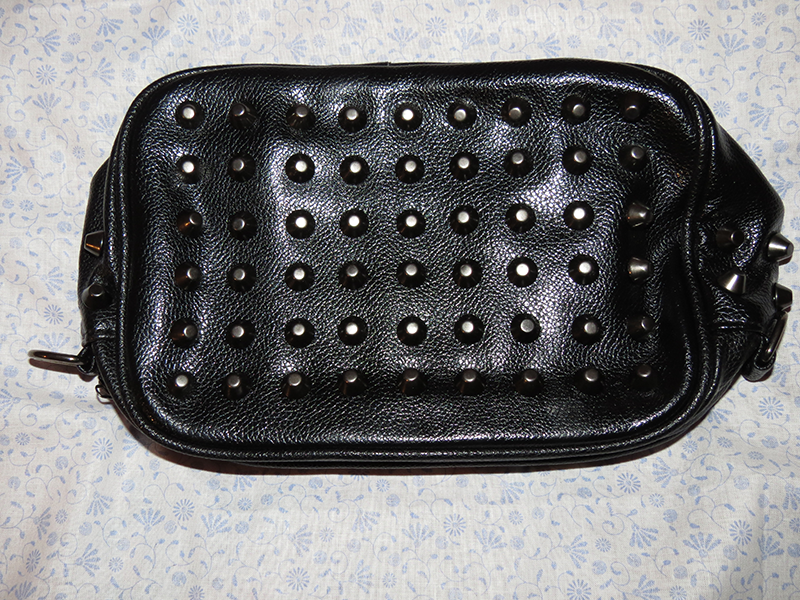 the studded bag had some sort of thin cloth wrapped around?? idk what you would call that. troubleshooting: help links are located at the very bottom of the webpage. very easy to maneuver. contact: rosewholesale provides a wide variety of contact methods. you can contact them via telephone, email, live chat, or the support center. so i mention above that i was going to contact them because i wasn't sure which carrier my package was sent under. so i filled out a form on tuesday the 8th (of july). they're supposed to contact you within a business day (excluding holidays). i received a reply that same day! and only four hours later. omg. hella impressed. i took off a star for not having a refined search option (and also maybe for the shipping price, too). but other than that, i recommend you stop by and shop! and that's the end of this review!